Hanging canyon at Kolob Canyons. This is part of a series by Kelly Monaghan and Sally Scanlon on Zion National Park. Check out other articles here and here and here. 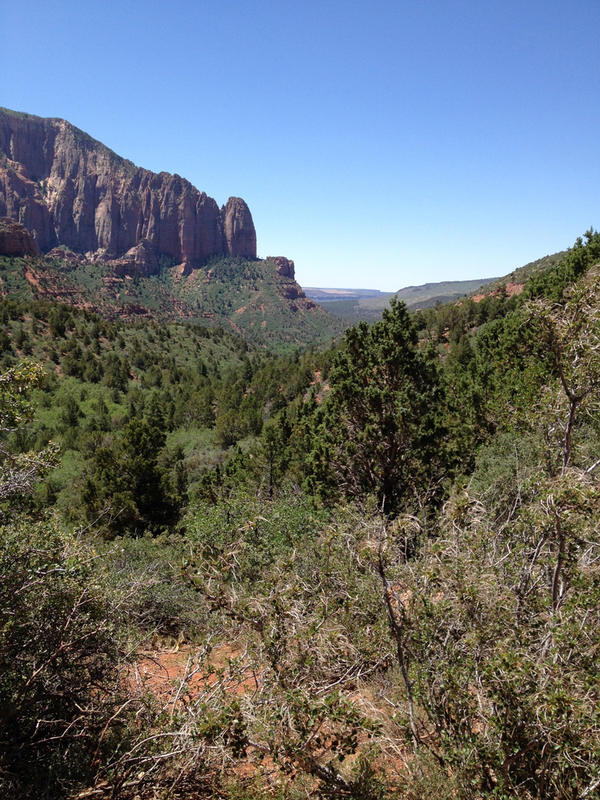 A 45-mile drive from Springdale, in the northwest part of the park, Kolob Canyons offers different rock formations and a much quieter experience than its cousin to the south, as relatively few Zion visitors appear to make the trip. Unless you elect a backcountry hike, you’ll probably see these canyons mostly from the 5-mile scenic drive on a red roadway that matches the color in some of strata of the canyon walls. Pause about midway to admire a spectacular series of sandstone formations that feature so-called “hanging canyons.” Carved by centuries of snowmelt, these lush, green, v-shaped niches in the rock wall are canyons in the making. Timber Creek Overlook Trail, a rather steep mile-long (round trip) hike accessed from the parking lot at the end of the scenic drive, offers spectacular views. 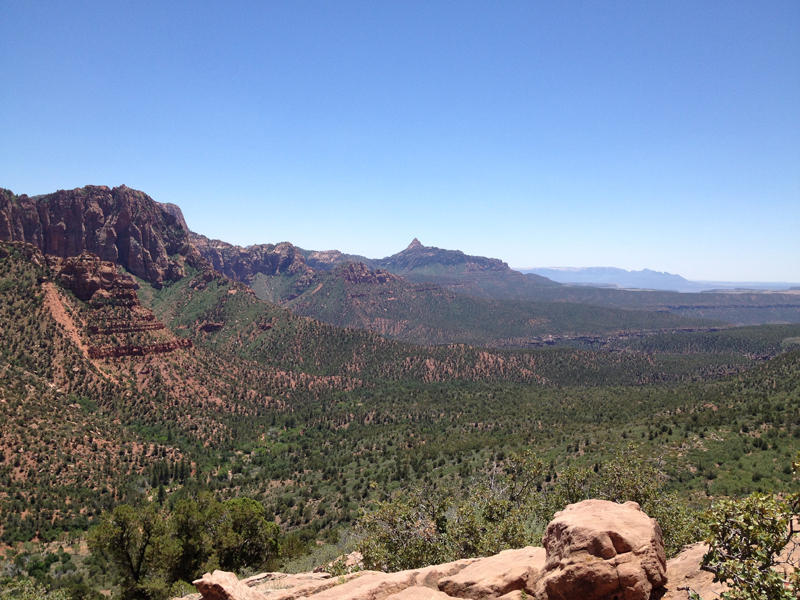 Timber Creek Overlook at Kolob Canyons. Kolob Canyons has its own Visitors Center near the entrance, just off I-15, complete with restrooms, a shop, and knowledgeable rangers. There’s a picnic area near the beginning of the Timber Creek trail with several tree-shaded tables. Packing in a picnic lunch is highly recommended. Vista from the end of Timber Creek Overlook Trail. Perhaps because it is less visited, you have a better chance of seeing wildlife here, especially if you venture along the trail system. When we visited, signs warned that a mountain lion had recently been spotted in the vicinity. Our own sightings were limited to birds, lizards, and squirrels. 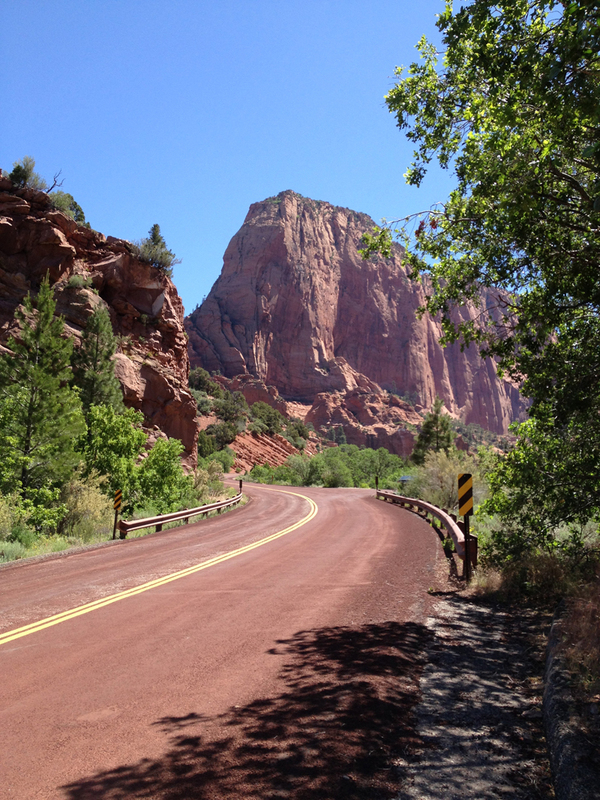 To get to Kolob Canyons, drive west from Springdale on State Route 9, then north on State Route 17 and Interstate 15. 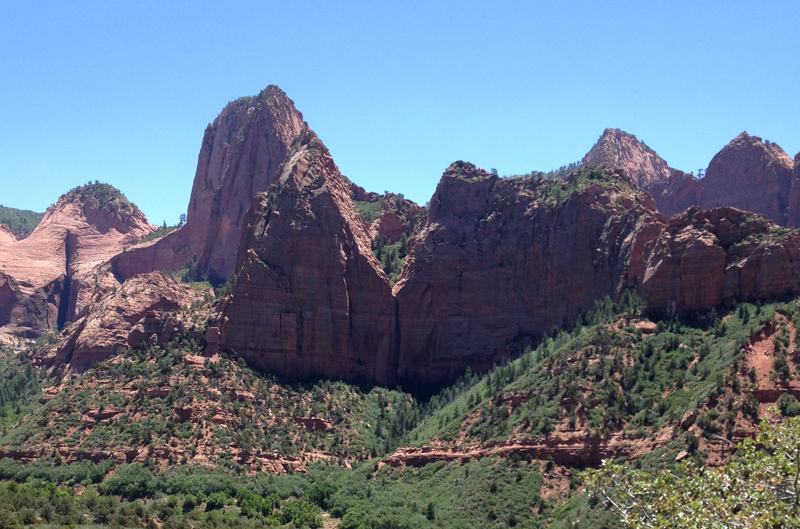 The entrance to Kolob Canyons is at Exit 40.